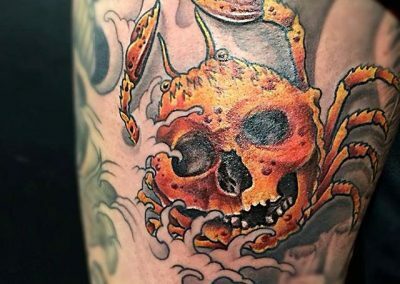 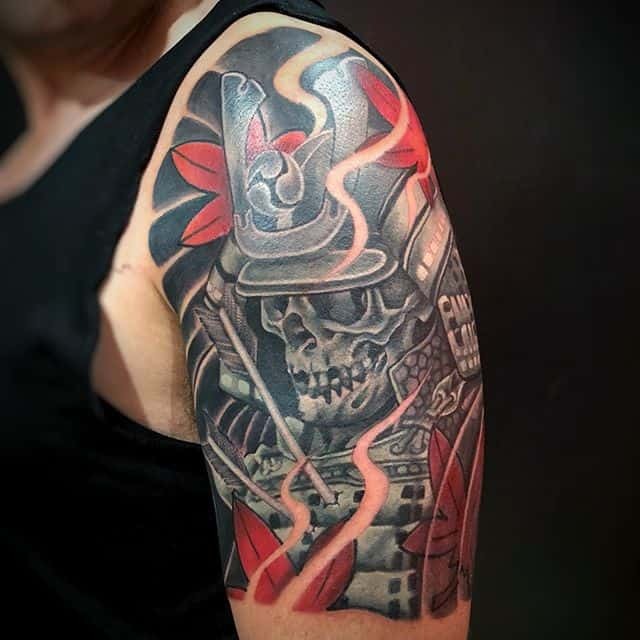 For a long time Japanese tattoos have been one of the most popular genres due to their bold, impactful and intricate designs. 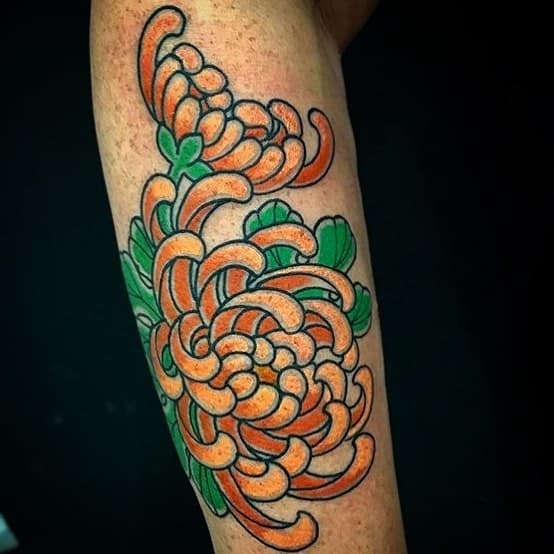 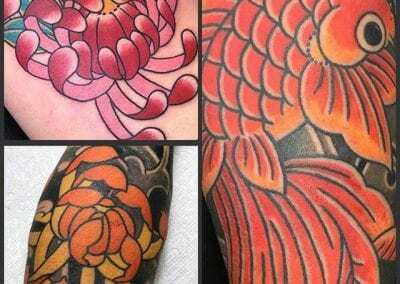 From small pieces to huge full arm, leg or back pieces, the beauty of this style is that it never “ends” with a hard line and can always be extended into something bigger. 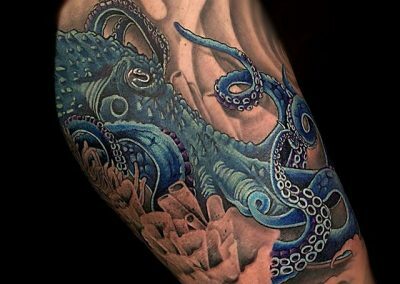 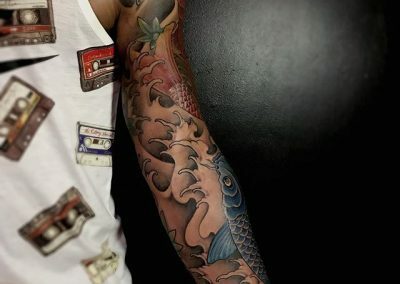 The bold colors and regular use of shading makes the Japanese style one of the best available to cover up any old tattoos, especially those that are on the large or dark side. 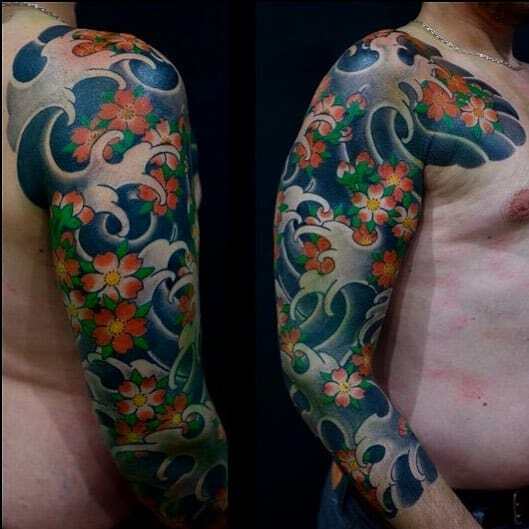 Unfortunately for many, getting a tattoo in Japan is easier said than done! 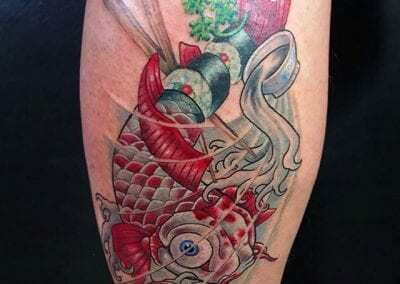 There are less tattoo studios than you might expect and even amongst those that exist many won’t tattoo a foreigner. 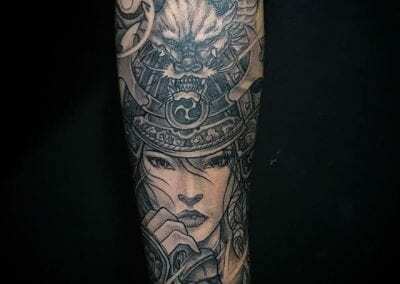 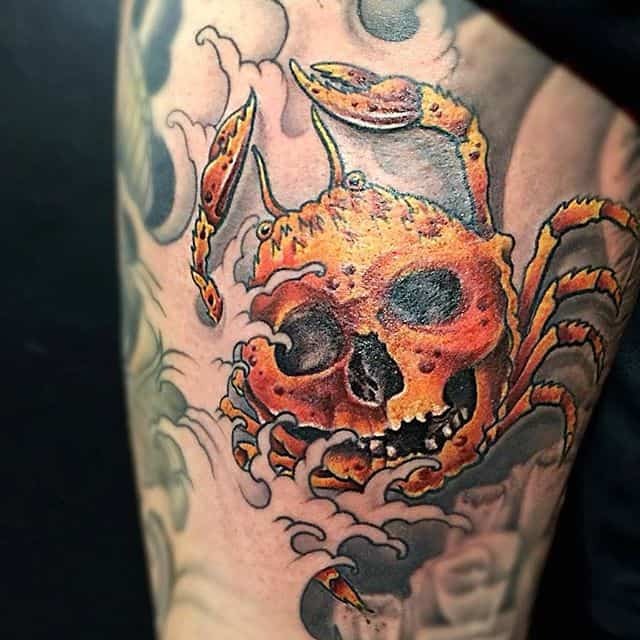 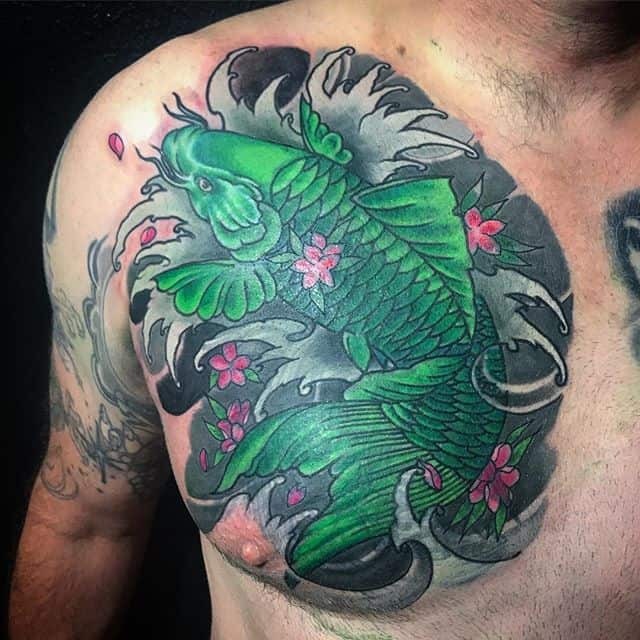 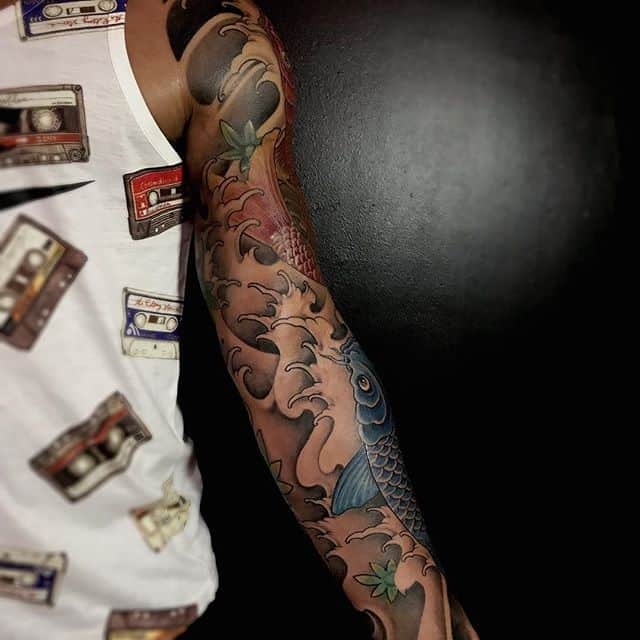 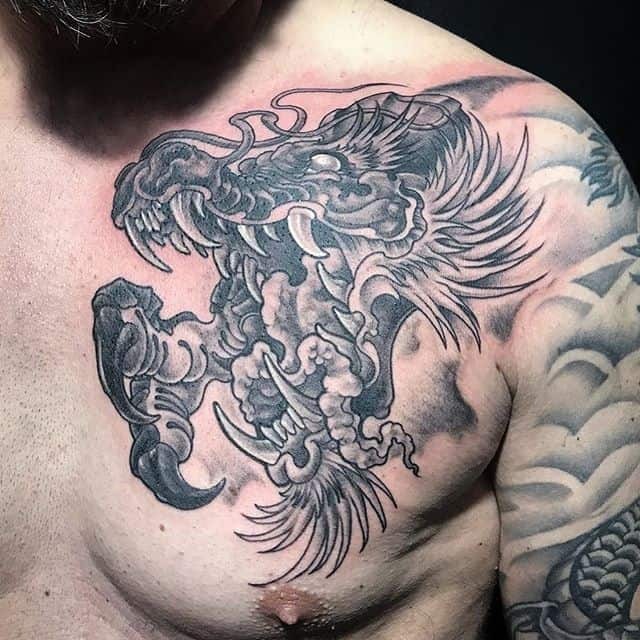 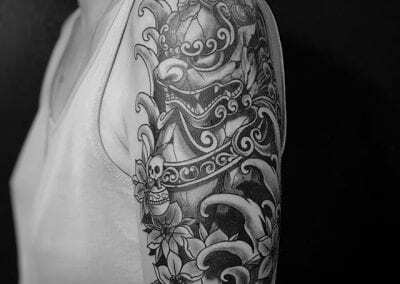 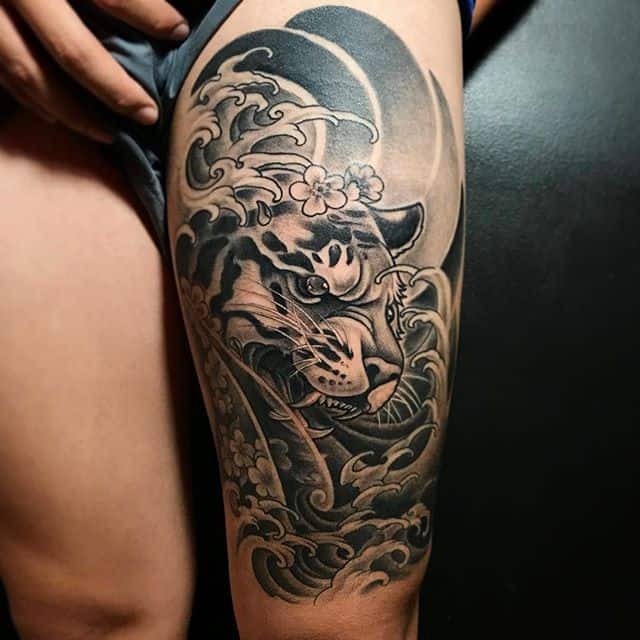 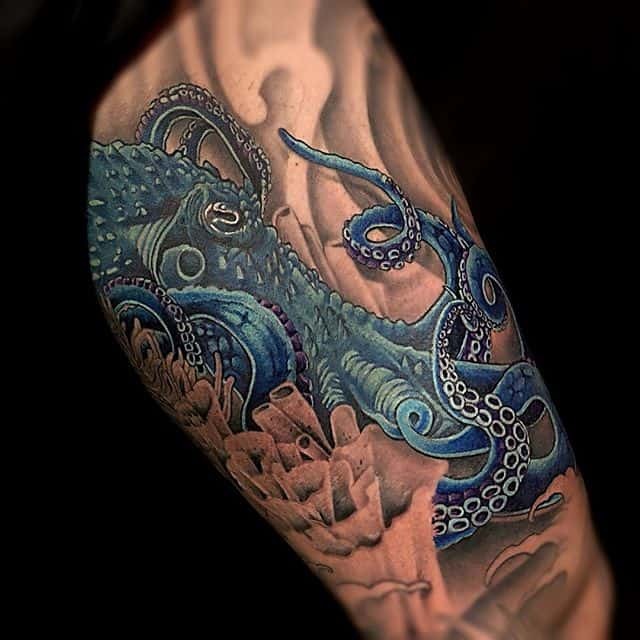 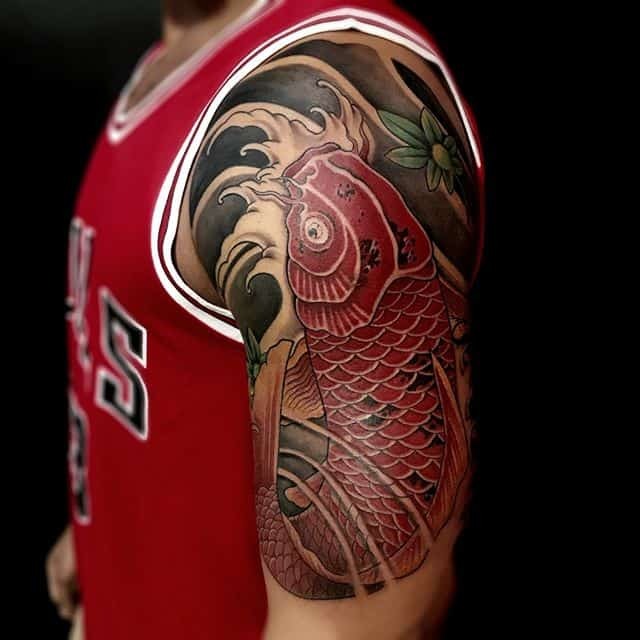 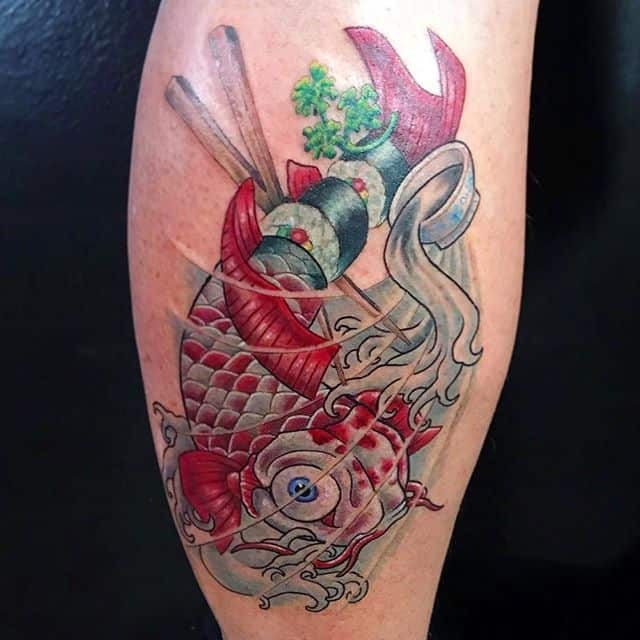 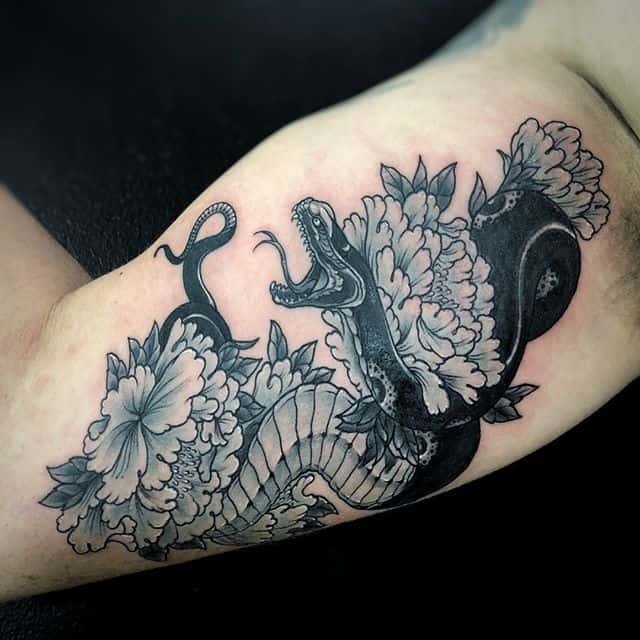 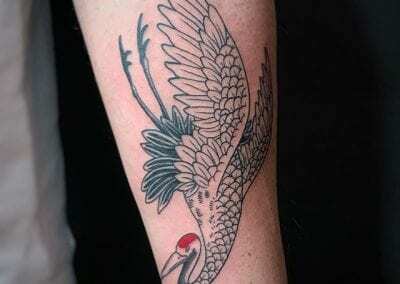 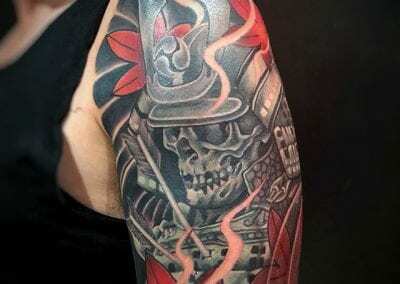 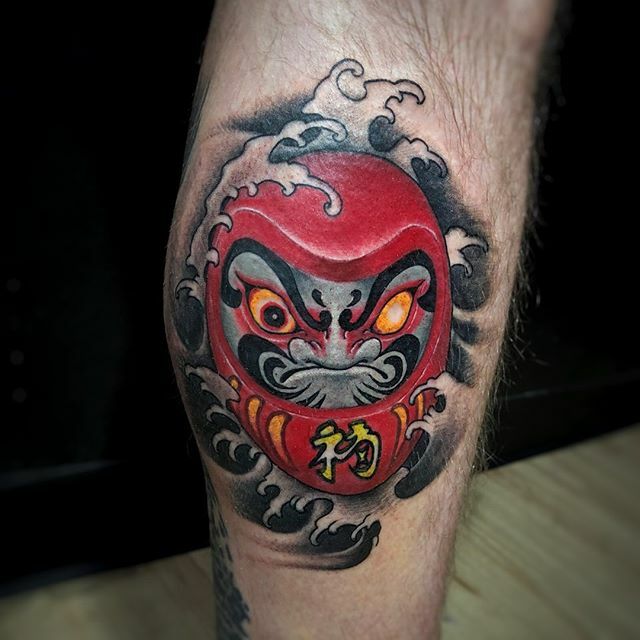 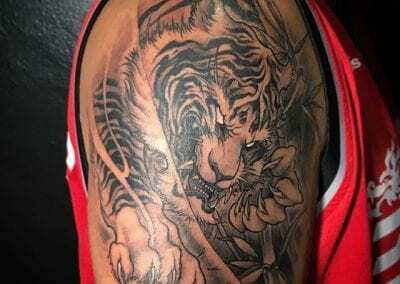 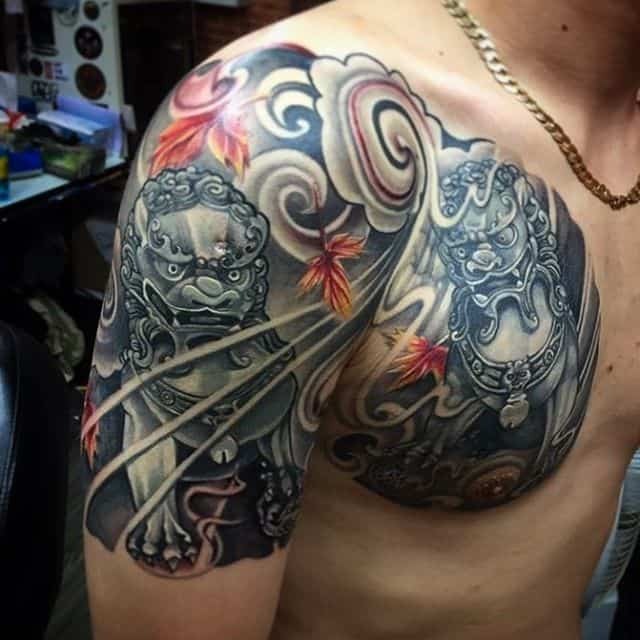 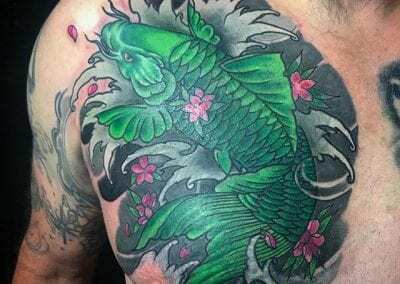 That’s why getting a Japanese tattoo in Bangkok with a highly experienced artist in one of Bangkok’s best tattoo studios can be a great option allowing you to get the design you’ve always wanted in an authentic Asian setting. 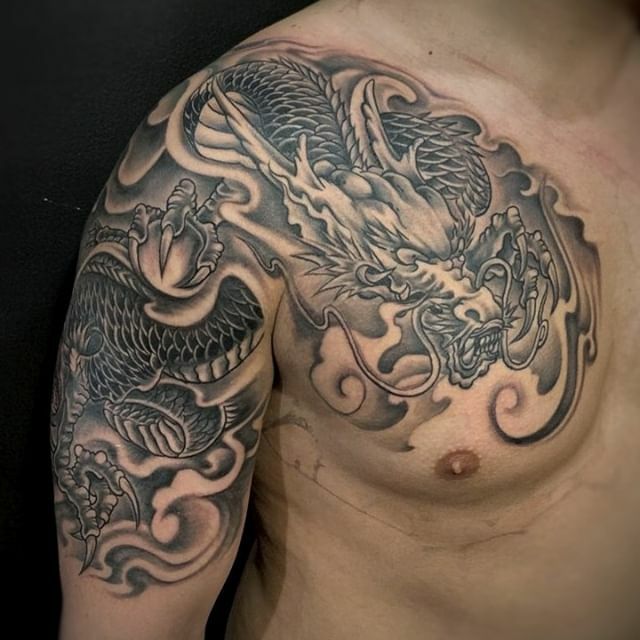 Thailand has long had close relations with Japan and we have artists that are very experienced in this style. 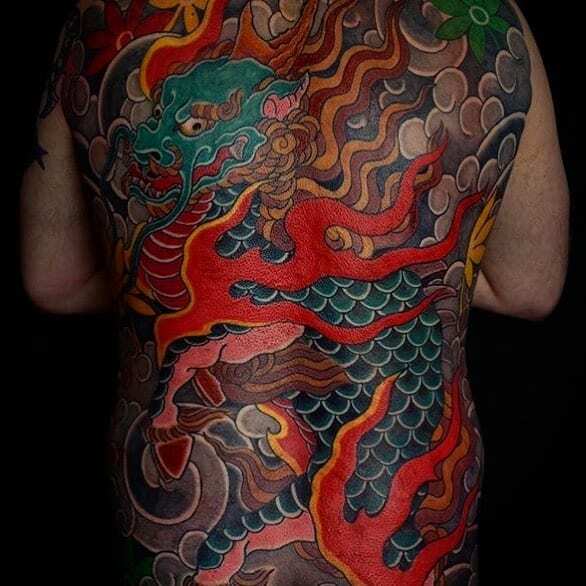 There are many Japanese tattoo designs to choose from, each with different meanings and significance. 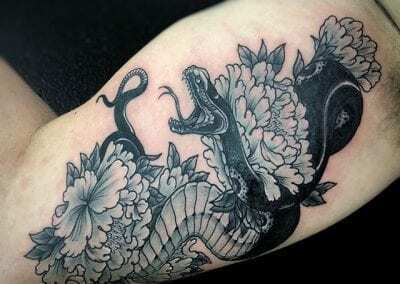 Dragon(Ryu) – In Japanese culture, the dragon is a benign creature and relates to water and the rain. 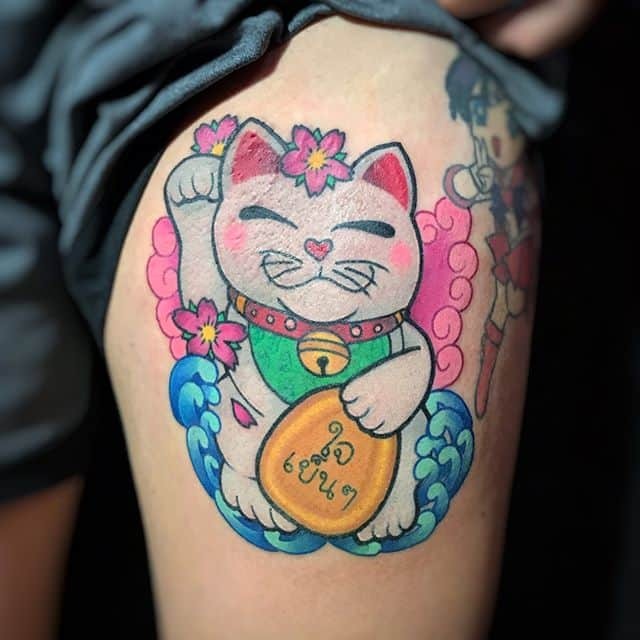 It stands for wisdom, strength, and generosity. 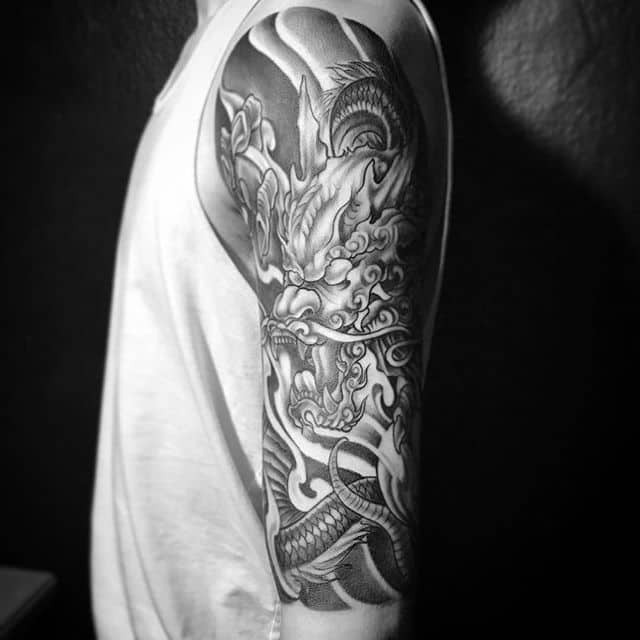 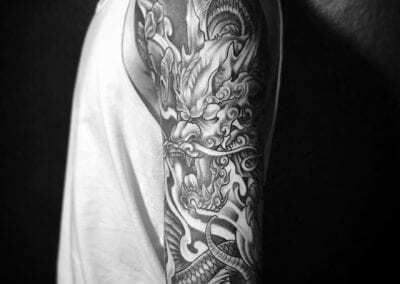 Dragons are one of the most popular design elements used by tattooists. 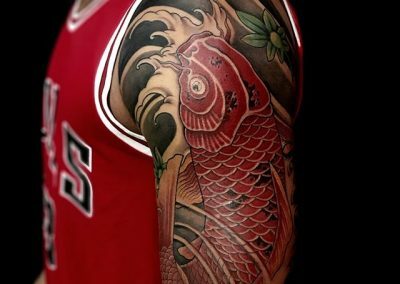 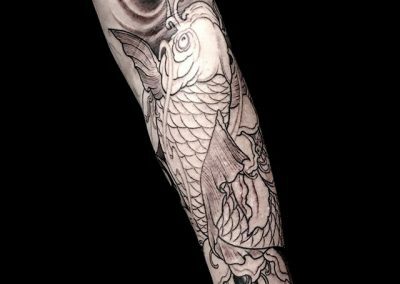 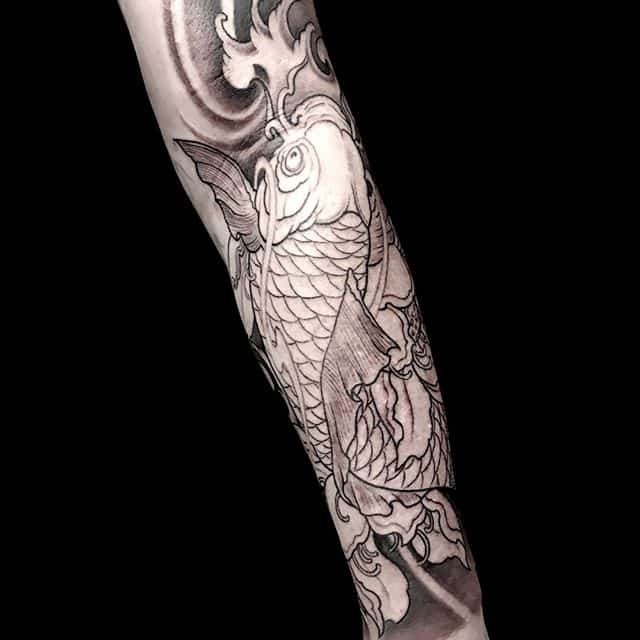 Koi(Carp) – Koi has the ability to swim against the current and if it reaches the ‘dragon gate’ it will be transformed into a dragon, so it represents determination, courage and a desire for success. 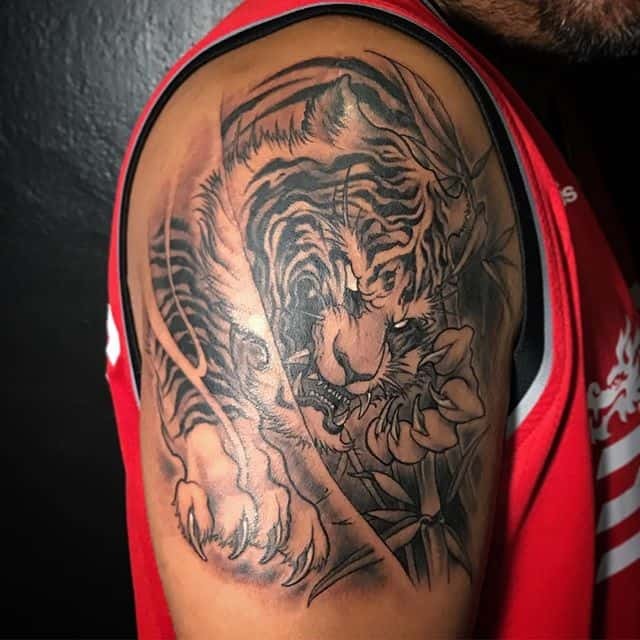 Tiger(Tora) – Tigers are important in Japanese art as they represent strength, courage, and good fortune. 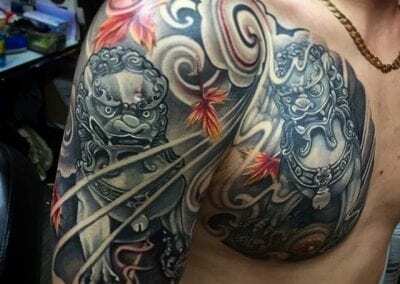 Lion/Guardian dogs(Shishi/Komainu) – Like tigers, lions are regarded as bold strong, courageous and heroic and are the guardians of shrines. 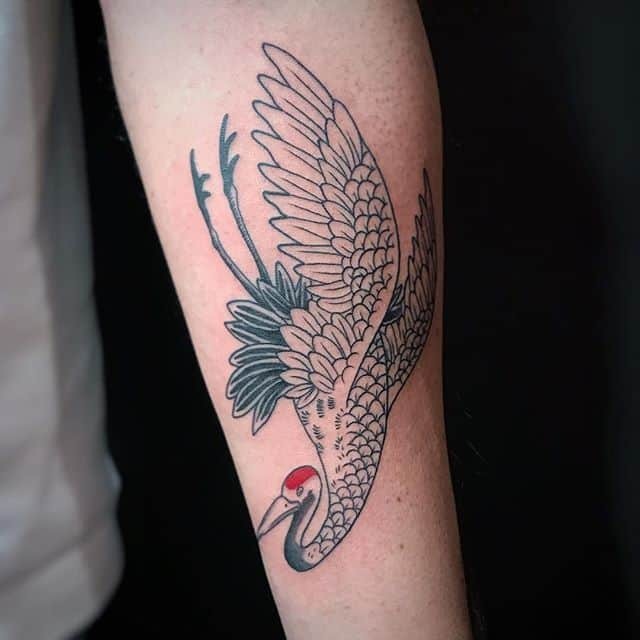 Phoenix(Fushicho) – As in the west, the Japanese phoenix disintegrates into to ashes and then revives itself, representing revival and ultimate victory. 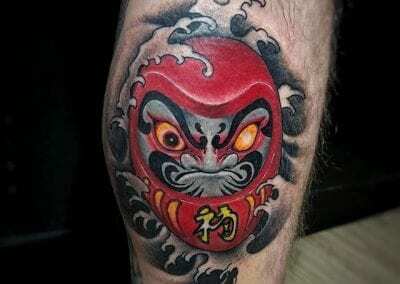 Ogre/demon(Oni) – Ogres are very fearsome, and are generally regarded as the symbol of evil. 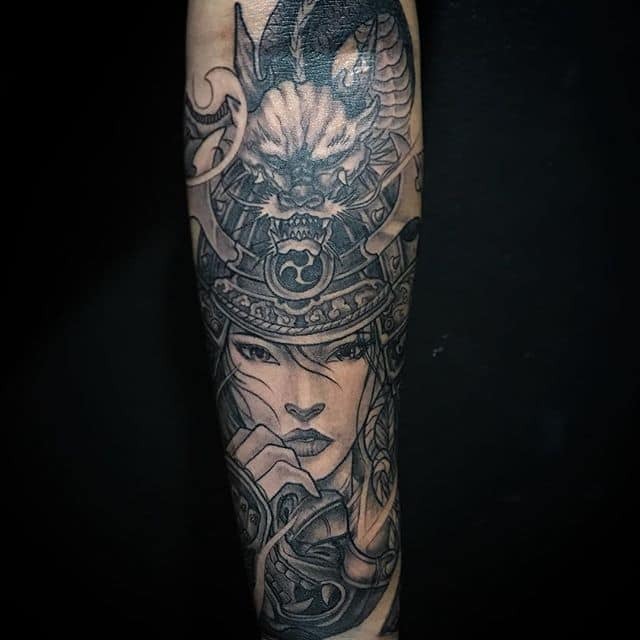 The Queen of hell uses ogres to punish people for their evil doings. 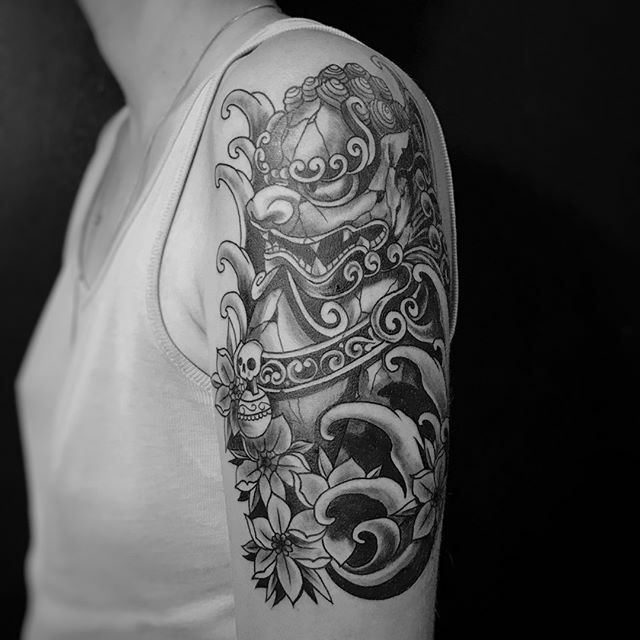 There are also Good ogres that are a symbol of protection. 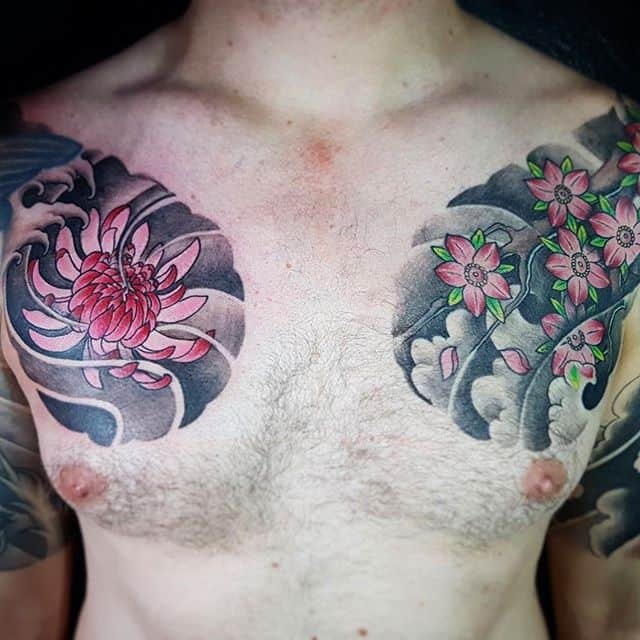 Flowers(Hana) – there are many different flowers in traditional Japanese art that represent a range of meanings. 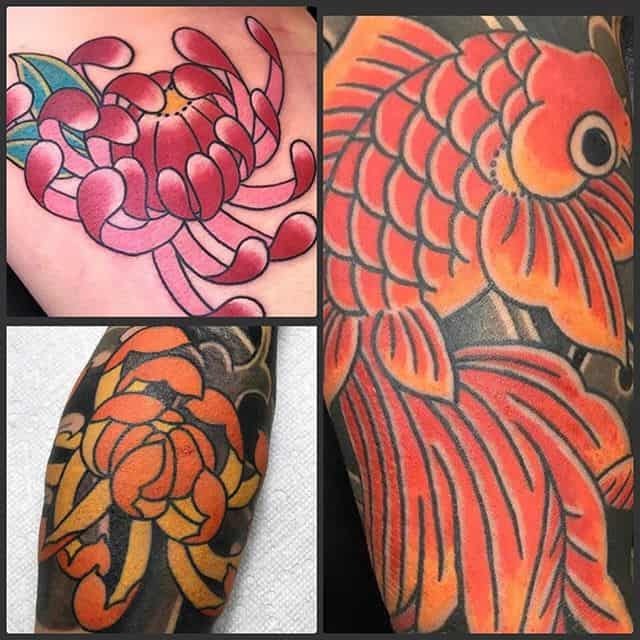 Peony(Boton) means elegance and wealth; Japanese Maple Leaf(Momiji) is a symbol of the passing of time; Chrysanthemum(Kiku) is a symbol of perfection; Cherry Blossom(Sakura) represents the fragility of human existence – of life itself; Lotus (Hasu) is a symbol for enlightenment – an awakening to the meaning of life; Rose(Bara) is eternal love or new start; Orchid(Ran) means courage, power, and strength.